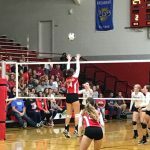 Saturday, October 15, 2016 10:00 AM Adams Central High School AWAY 2 Southern Wells High School HOME 0 Game Recap The 8th grade volleyball team played South Adams for the championship round of the ACAC tourney. The won in 2 sets for the ACAC title. 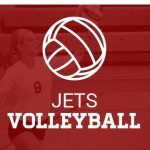 The Lady Jets were also season champs for their conference.